The emergence of ecological awareness and sensitivity to the natural organic world, with an acknowledgment of the basic fragility of the earth. A growing sense of the rights of other species. A recognition of the interdependence of all domains of life and reality. The ideal of abandoning a militant nationalism as a result of this tangible sense of our essential interdependence. A deep, evolving experience of community between and among the religions through their individual members. The growing receptivity to the inner treasures of the world’s religions. An openness to the cosmos, with the realization that the relationship between humans and the earth is part of a larger community of the universe. Each of these shifts represents dramatic change; taken together, they will define the thought and culture of the third millenium. … We could really name [this] age after any of of these shifts in understanding. To encompass them all, however, perhaps the best name for this new segment of historical experience is the Interspiritual Age. All of these awarenesses are interrelated, and each is indispensable to clearly grasping the greater shift taking place, a shift that will sink roots deep into our lives and culture. Taken together, they are preparing the way for a universal civilization: a civilization with a heart. These aspects of spirituality will shape how we conduct politics and education; how we envision our economies, media, and entertainment; and how we develop our relationship with the natural world, while pursuing our quality of life. Interdependence is an inescapable fact of our contemporary world. … A spiritual interdependence also exists between and among the world’s religions. This interdependence is more subtle, though the actual impact of traditions on each other is clearly discernable in history. …The spiritual interdependence is often indirect and thus not clearly seen. But it is nonetheless real. …When we examine relations among the religions today, we find traditions increasingly discovering and pursuing a real experience of community, especially among individuals. This existential realization arises from actual encounters between people of different traditions. 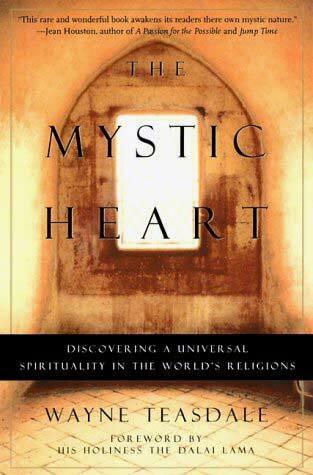 Interspirituality and intermysticism are terms I have coined to designate the increasingly familiar phenomenon of cross-religious sharing of interior resources, the spiritual treasures of each tradition. …In the third millennium, interspirituality and intermysticism will become more and more the norm in humankind’s inner evolution." "I am always inspired by genuine acts of selflessness. …This quality of love is the natural fruit of the mystical life and the contemplative character, and it is the nature and fullness of this character [which defines] the elements of mature interspirituality: actual moral capacity, solidarity with all living beings, deep nonviolence, humility, spiritual practice, mature self-knowledge, simplicity of life, selfless service and compassionate action, and the prophetic voice."